I saw that Medea posted a SWAP 2019 discussion thread and as a warm up to 2019 SWAP sewing, I'd like to sponsor a Dress challenge - and follow Mudcat's lovely idea of awarding the winner(s) a little $25 gift certificate at an appropriate fabric store/site. I would supply the gift certificates; the same caveat that Mudcat provided applies, it has to be website or store to which I can set up the gift certificate for the winners. There are two separate categories - Beginner to Intermediate and Intermediate to Advanced. More thoughts about how you might decide which category you want to enter into are listed at the end of this message. The important thing is that there'd be two "winners." Make a dress (or a two piece ensemble that looks like a dress) between October 1st and December 15th 2018. The dress can be for anyone above age 14 years - so it can be for yourself, a friend, your sister, a daughter. I am thinking garments similar to dresses posted in Sizun's Dress a Month thread are eligible. Garments such as IndigoTiger's pinafores are definitely eligible. And, I am totally inspired to do this by Lisa's dress a couple of years ago for her daughter. I will try to dig out links for all of these. Shirtdresses, coatdresses, etc. all are eligible. No formal full length dresses, however, as their glamor gives them an unfair advantage. No pants or jackets. The dress must incorporate one thing new to you. This could be a new type of fabric - if you have never sewn velvet and you want to make a dress out of velvet, that could be the new "thing." It could be a pattern you've never made before or a technique that you haven't attempted - such as welt pockets, underlining, invisible zipper installation - the idea is really to grow your skills - so whatever the new thing is, it will probably involve some practice or a muslin. This is a pre-SWAP sew, so the start date is TODAY (Oct. 1st 2018) and the final date for sewing is December 15th, 2018. We can vote while munching on holiday cookies. Final details of voting still to be worked out. Three photos (Front, Back, and Side) of the finished garment on the intended recipient (this may cause some difficulties if one is sewing for someone at considerable distance). DragonLady will be helping set this up - but ideally we could vote the same way as we do for SWAP. Stay tuned for the details. I have looked at a lot of skill level determinations and don't like any of them that are based on years. I was thinking of something like this...the idea being that if you can check off all five of the major bullets below, then you can self-define as Intermediate to Advanced and enter in that category. If you cannot check off all five, then you can self-define as Beginner to Intermediate. It would be up to each entrant to decide, so this list is offered as a guideline. Questions? Please post them here... I would like this to be fun for folks and give us an excuse to develop our skills - and also to encourage the newer sewers by having the two categories. Finally, MODs, if I didn't do this correctly, please move my post to where is more appropriate or make other corrections as necessary. This is exciting! So well thought out and presented, CCL. I hope we get a lot of participants, because it sounds like fun. Oooh, an anniversary dress. That would be smashing, Bev! IndigoTiger -- in my best Pirates of the Carribean voice, "these be guidelines, matey!" - not necessarily rules - so I would think IndigoTiger, put yourself where you think your skills best fit! I am devoid of sewing mojo at the moment. Making a cutting/measuring error and having a failed muslin this past weekend didn't help. I bought two copies of the pattern some months back so I'd have a backup copy. I will need to muslin at least the bodice since I can tell it will be problematic. I will likely use some silk crepe de chine that's been in my stash since the 90s if I recall correctly. I don't want a white collar however so I'm still trying to figure that part out. I'm in the intermediate-advanced category even though I don't do most of those higher level tasks anymore. That's a fabulous dress Mudcat, and looks like the basic shape could make a very good TNT, for dresses and for the type of jacket that is worn with little underneath. What a great idea! I like how you divided up the skill level, I am a beginner to intermediate level, definitely more towards the intermediate side. 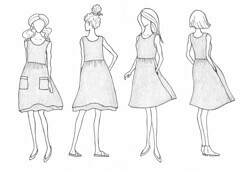 I have several dress patterns I've been wanting to try, and there are many new skills I could add to my repertoire. I don't own a single dress but will need one for a wedding next year. I've been losing weight so this dress might be a stepping stone to the one I eventually make for the August 2019 event. Quote I don't want a white collar however so I'm still trying to figure that part out. Ooh I love a sewing challenge! I am not much of a winter dress-wearer, but I'll put on my thinking cap to see if I can participate. Lovely guidelines CCL!! Brilliant idea CCL and it might be just what I need to get the garment sewing moving along. I would be the Intermediate to Advanced even though there are some things I have not made but there is a lot I have done. Now I need to put on my thinking cap to see what I can come up with as I want to work with my stash so that could mean it will be a technique. Thank you indigo tiger. I guess I never read the description or if I did it was so long ago I forgot it was detachable. That might work better in my climate anyway but I have to admit the collar/sleeves do add a certain design element that I find attractive. More to think about. I found this on a German forum where the sewist skipped the collar. It looks fine albeit slightly less elegant than with the collar. Still more practical for every day life. This is perfect timing. DH started a new position at work this spring, so I need to actually show up at things like company picnics and other social events. He told me on Tuesday that we are attending a dinner on Saturday. There will also be a holiday party in December. Where I live, the attire at events like this can range from very nice jeans and sparkly shirts to semi-formal dresses, diamonds, and fur jackets- pretty much anything goes. DH has requested that I make a new dress. It's a very good thing I have tomorrow off work and Saturday as well as a closet full of fabrics to choose from. 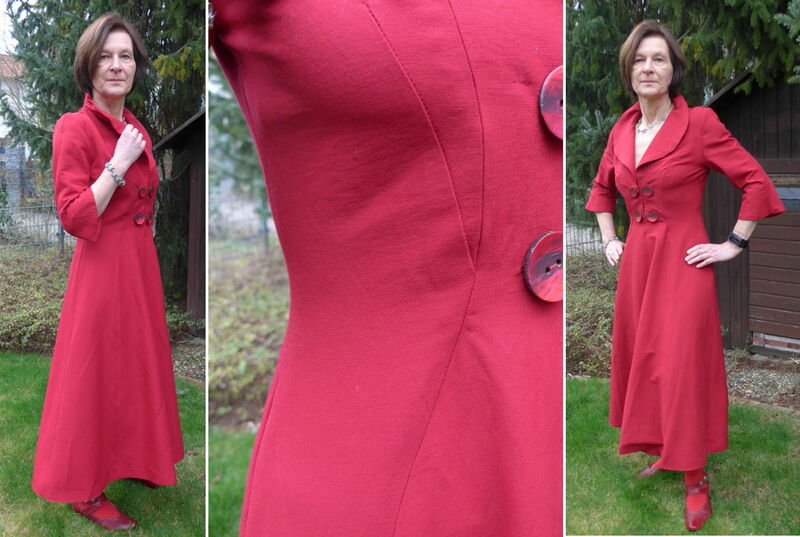 Right now I am thinking Simplicity 2247, with view B bodice and view A sleeves. I was thinking a solid color with some machine embroidery at the hem and sleeve ends to make it a bit more fancy. I will probably use light weight suiting; I have navy, grey, brown, and cream in the closet. The suiting fabric and the embroidery will give the skirt a little more body as well. 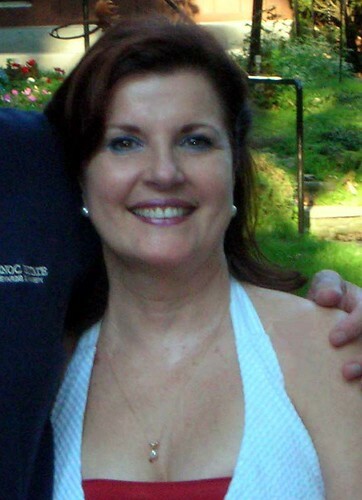 Yay, Wendy (aka warpjr1965), hope you can join us! -- And, it doesn't have to be a winter dress - it could be a summer dress - or even a winter dress that you always wear over tights or leggings. it might be just what I need to get the garment sewing moving along. Oh Sharon - hope so! Will be fun to see what you made - your 6PACs were always so well constructed. Right now I am thinking Simplicity 2247, with view B bodice and view A sleeves. I will probably use light weight suiting; I have navy, grey, brown, and cream in the closet. The suiting fabric and the embroidery will give the skirt a little more body as well. JuneBug, that's a great dress pattern; I like the high waist - almost empire... your idea of embroidery would make it very special. I might have to track down that pattern myself. ....this dress might be a stepping stone to the one I eventually make for the August 2019 event. BinMI - I like that idea - "the stepping stone dress." I am probably going to sew along as well - I am still auditioning patterns for the wool challis material, so may label my trials as the "stepping stone dresses." Mudcat, oh gosh, another great pattern! IndigoTiger's idea of the detachable lace is lovely - that will be some dress! Oh CCL I think you have me confused with someone else as I wish that was me that had the co-ordinated 6 pacs, I might have planned but never made one. 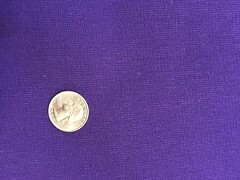 I have completed 2 SWAPS 2012 and 2013 and have tried other years without success. I have the fabric (assuming I can find the box it's in) and a new pattern. Only problem (other than finding the fabric) is that I had my daughter pick up the parcel with the pattern in it three weeks ago, and she keeps forgetting to put it in her car and bring it over! Hoping to get it on Monday when she's here for dinner - have already reminded her to put it in the car! Well, I have some purple wool double knit that is waiting to become something. I know I would not wear it as a jacket, just too much purple on my upper half, and I don't wear jackets anyway. But, it might want to be some sort of tunic or dress. I've got some ideas percolating. Oh, Sharonspils, so sorry, you are right! My apologies. Melinda, here's hoping you find your pattern and get your parcel with the pattern. Wendy, a purple wool doubleknit - that sounds as if it is begging to be a warm tunic dress worn over tights or leggings. I dug out some rayon border print to try out an idea I have...not sure it will work, but will be fun to try. But first I have to sew up the warm polartec jacket for BH. We've managed to lose his favorite so now he is in need - that's my project for the weekend. Ooh, I love this challenge CCL. What a great idea to sew a dress before the "real" swap challenge starts (hopefully). It's time for me to go to bed now but I will read more tomorrow morning. I would like participate and make a dress. I understand no formal gowns rule but how about trendy maxi dresses like these? I really like the top dress. Is there a pattern for this? 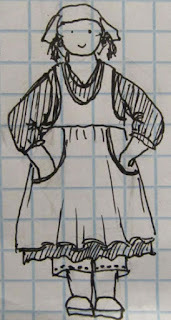 I'm in this challenge and maybe it's time for me to sew a Burda Dress I had on my mind for a long time now. 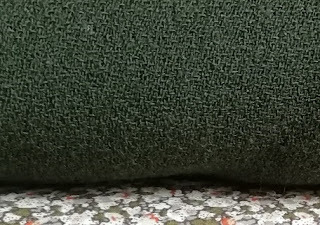 I have a forest green crêpe that I want to use and I hope it's enough for the dress. I know that Stephaniecan made this a couple of years ago and I loved it since. I'm in the intermediate to advanced group and hope that I can find something new and/or challenging with this dress. Maybe it's the fitting that will be most challenging. I'll think of it. I also have an dresses inspiration board at Pinterest. You'll find it here. 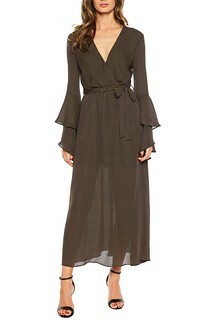 I have my eye on another Metamorphic dress for winter/fall. Here is the purple wool Double knit I may use. Very purple!! I'll have to check the drape on this, the gathers may not work well if the fabric is too firm. I drool over all these gorgeous pics, but fitting me is such a difficult task that I stick with TNT's or patterns that can be easily adapted using my TNTs. Great question, Irina. Maxis should be fine. Your first photo is similar to Mudcat's pattern - and well within the definitions of the challenge, which is really an attempt to level the playing field a little by eliminating those gorgeous show stopper evening formal gowns that could make final voting difficult. I had to sleep on the second photo a bit and think about it, because in the photo the back of the dress is "full length," rather than maxi, though the front is not. However, on further reflection, the dress is definitely not a formal gown. So either of these would be okay. Wendy, I loved your other metamorphic dress, so even more interested in seeing how this one turns out. You are right, though, depending on how thick the doubleknit is, those gathers might be bulky. Medea, oh, I am lusting already over your fabric. Having just finished making a wool crepe dress, I loved the experience of working with the crepe fabric. I have been surfing the net for more! (Even though I am really trying hard not to buy anymore fabric until I have made up a bit.) Really like that pattern and I also liked the Simplicity 1652 you have on your pinterest site. Bev, Drooling over here too. But I hear you, I like to experiment with patterns but only if using cheap fabric. I always save the good stuff for patterns that I have made several times and worked out the kinks and fitting problems. Great write up CCL and fun! Thanks for taking the boat loads of time to get this organized (and the prize ain't bad either). This certainly is something that I feel that I could do/try being a beginner/intermediate if I hadn't committed to making jeans. Would it be fair for a beginner to ask for help in the fitting section? I know I would needs tons of help to pull off a dress. It would totally be fair..Fitting a new pattern would certainly qualify as the "new" thing (and then some!) We all need assistance -- whether it be from books, classes, instructions, or mentors -- when learning and practicing our new thing! 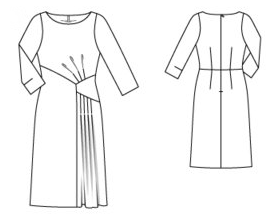 I think I have figured out what I might sew for this challenge... one of my basic everyday dresses, but instead of a simple three-quarter sleeve gathered into a narrow edge binding, I could lengthen the sleeve and learn how to make a cuff placket. There are lots of different tutorials online, and I should be able to figure it out. And, ifso, then it will be good preparation for SWAP, since I hope to make some actual woven blouses this year. I'd like to have a go at making a velvet dress. I've never sewn with velvet before for a garment. In my first year at art college we made silk/rayon velvet Devore scarfs but they were just small things stitched by hand, so sewing a dress with it would be a new challenge. I'm not sure if it's the most flattering material (I have a feeling that Nancy Nix-Rice might have included it in her list of "pounds on Fabrics" in her Craftsy class ) but it is something I've wanted to try for a while. I've seen some lovely teal and green colours on various online shops so I think I have just given myself an excuse to go online fabric shopping . I think I will stick to a cheaper poly velvet for my first attempt. I finished the dress. I won't be entering this version, it's not nearly my best work, and I don't have a photo of it on me. I ended up using a lovely floral print with teal flowers on a background of light to dark grays instead of the suiting w/ embroidery. I always have grand plans and not enough time to complete them. It's the first time I have sewn one of the Amazing Fit patterns, although I have a few I bought at $1 each. I am hard to fit with an apple belly, ubber bust, and short torso. With a short deadline, I measured and paper fit, then crossed my fingers and went for it. The actual directions have you baste most of the seams, try it on, fit and mark it, pick out the seams and resew using the new lines. I did not have time for that. It was much easier than I thought it would be to get a decent enough fit. The back princess seams had too much bulk but it was easy enough to just take them in, and I did raise the front neckline by at least 2 inches to avoid unwanted cleavage. It fits comfortably. I won't be entering it because I have not done a lot of sewing lately and I knew that I was missing something along the way. I made the new facing pattern, cut it out, sewed it on, clipped and it didn't come to me until I was understitching it that I had forgotten the interfacing. The fabric has a nice drape and you can't see the facing so I just left it as a lesson hopefully learned. There is a bonus here. I have to start wearing scrubs tomorrow at work and my co-worker commented that if it had short sleeves and some top stitching it could pass for a scrub top. Fortunately, the pattern does have a short sleeved version and I can just make it hip length. Bonus, bonus, I can get it over my head without unzipping so I don't have to worry about installing any zippers. Oh goodie, Turquoise -- I am so glad you think that. I tend to only do new techniques as part of something else - if the pattern I want to make has welt pockets, well gulp, I better learn to do welt pockets... that kind of learning. I don't think I have sewn velvet since I was in my early twenties. That sounds so much fun! IndigoTiger, Me too, but I think what happens is that we get good at the sewing we like to do... but the sewing discipline is so vast, that there are whole unexplored territories. For example, I feel pretty confident with the techniques needed for making men's traditional shirts - but put me in front of knits or linens - use bias binding for neck finishes??? - and all of a sudden I feel like a beginner again. Nice, JuneBug -- don't feel bad, I just forgot to staystitch the neck and stabilize the zipper on a jacket I am making for BH. I also started playing with sketching for my practice run at a two piece dress. I posted it over in the Dress a Month thread along with the pattern and the fabric, so I won't post them again here... but like you, I am working with a challis because I want to come close to the same drape as my "real" fabric. A couple of weeks ago the family was invited to a wedding. The youngest offspring, the only one left at home, my 22-year-old daughter I typically refer to as The Flute Player, really struggled with her wardrobe. Turns out she didn't have a single dress really suitable for a wedding. She had a white dress and a black dress, from previous events, but neither works in a southern setting. So...I think I'm going to use this opportunity to see if we can come up with a dress she can hang in her closet that she can wear to a wedding. Of course, much of this depends on whether or not I can get her past dithering about what she wants/ doesn't want, but I'm even thinking I'll use a pattern I've used for her before...if it still fits. I'll be in the intermdiate-advanced category, but I don't expect I'll give anyone who's seriously going for a win any competition, lol. I'm just glad to have something to push me to do it.